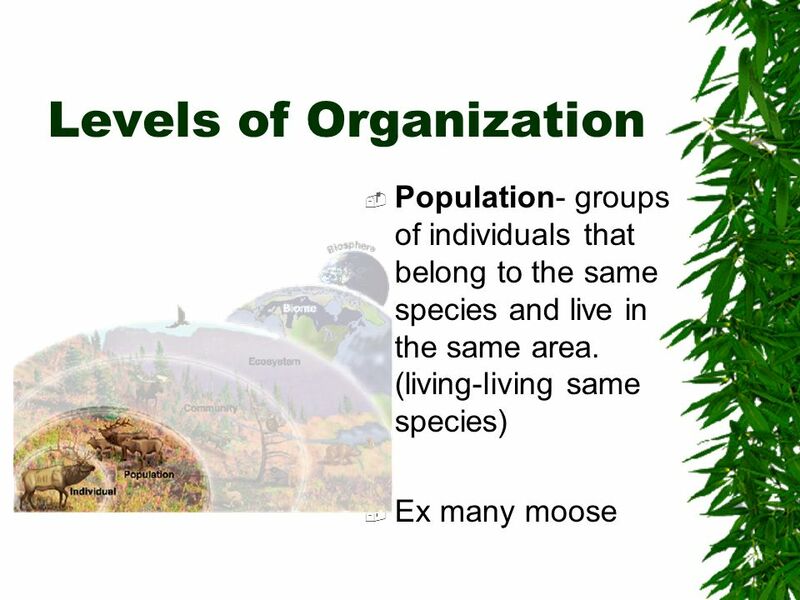 3 Where do we fit in? 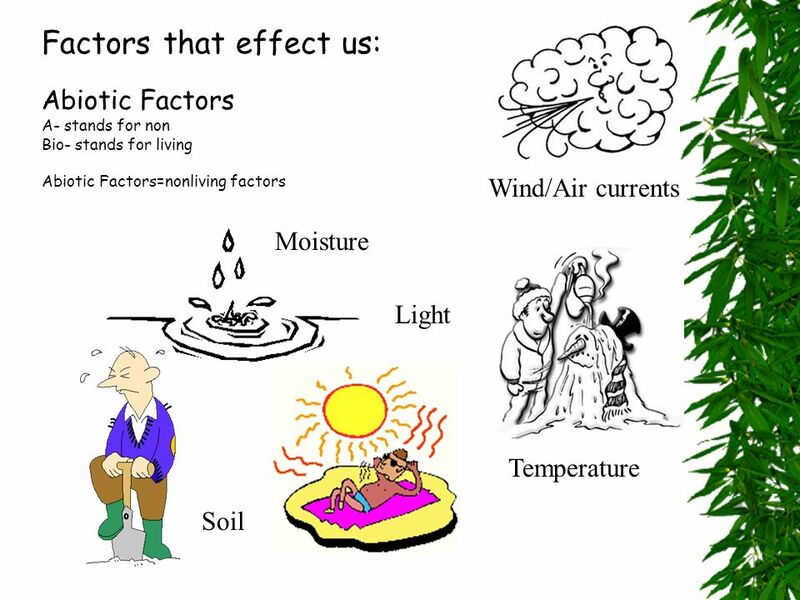 (What is our environment?) 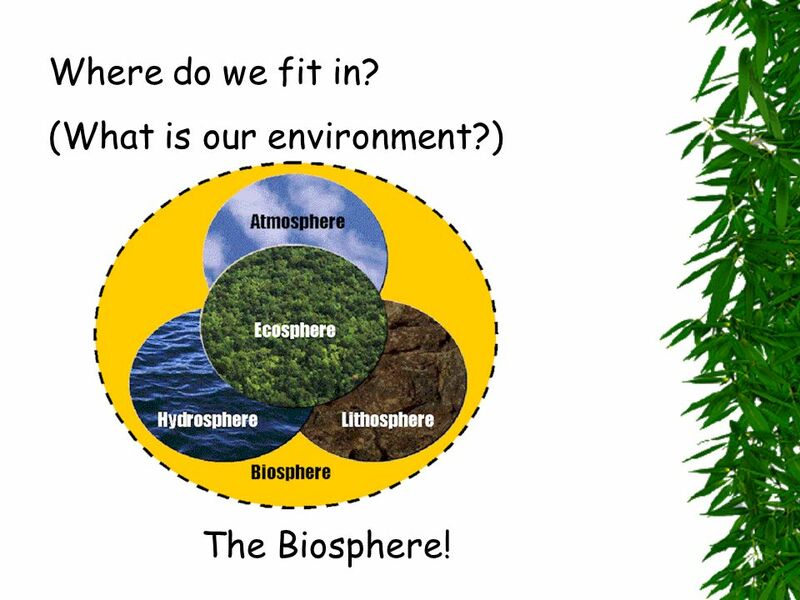 The Biosphere! 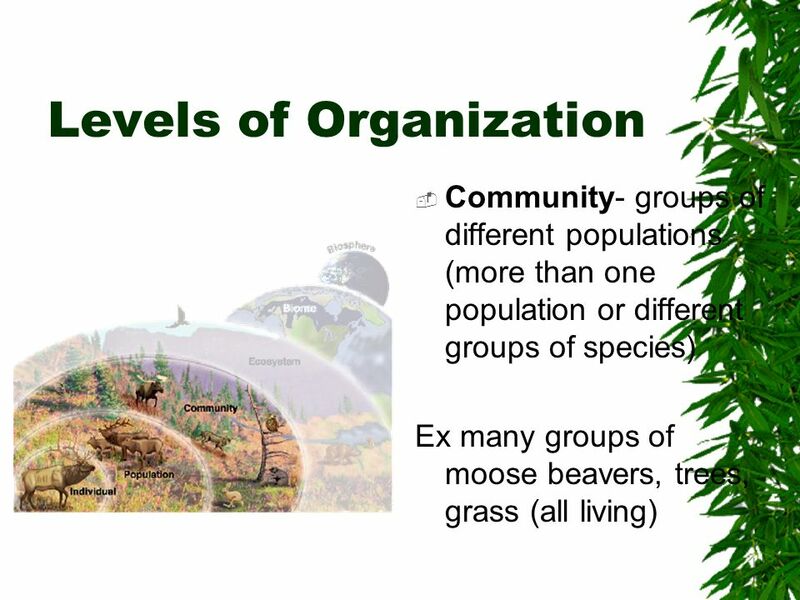 6 What is the organization of Ecological Study? 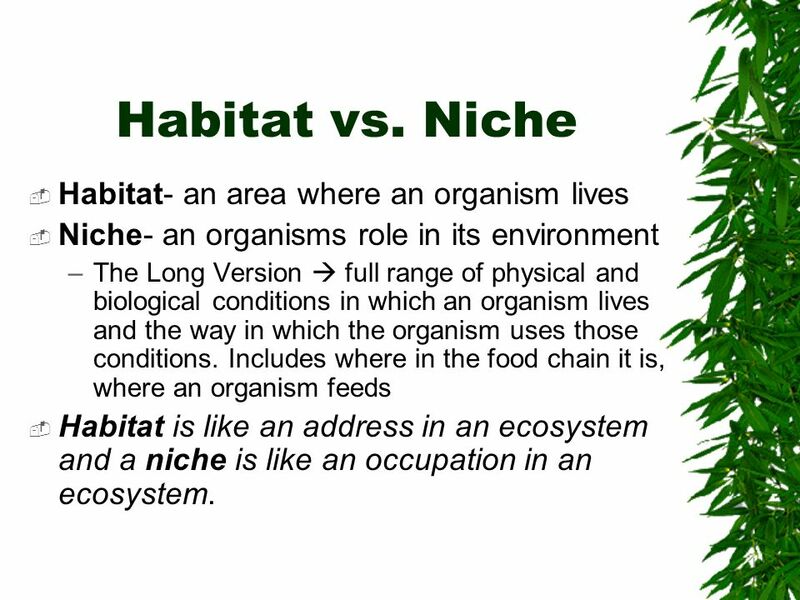 Niche- an organisms role in its environment The Long Version  full range of physical and biological conditions in which an organism lives and the way in which the organism uses those conditions. 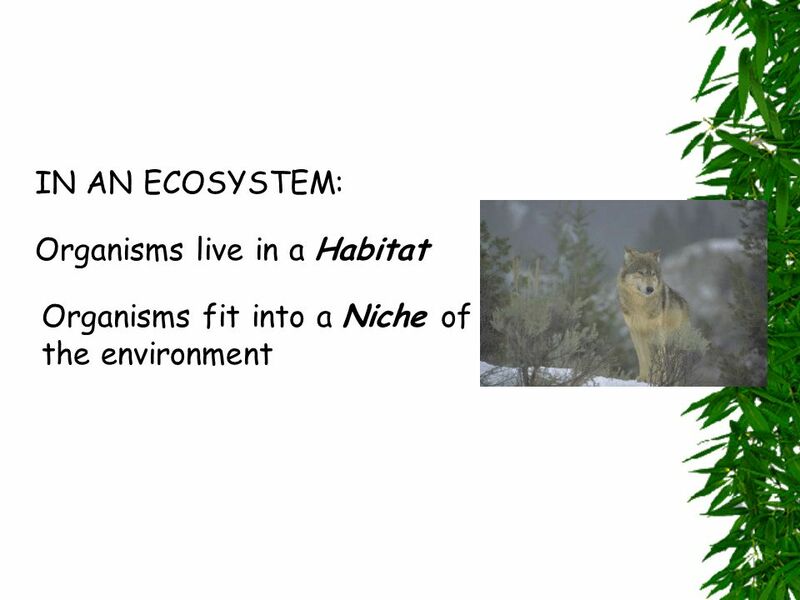 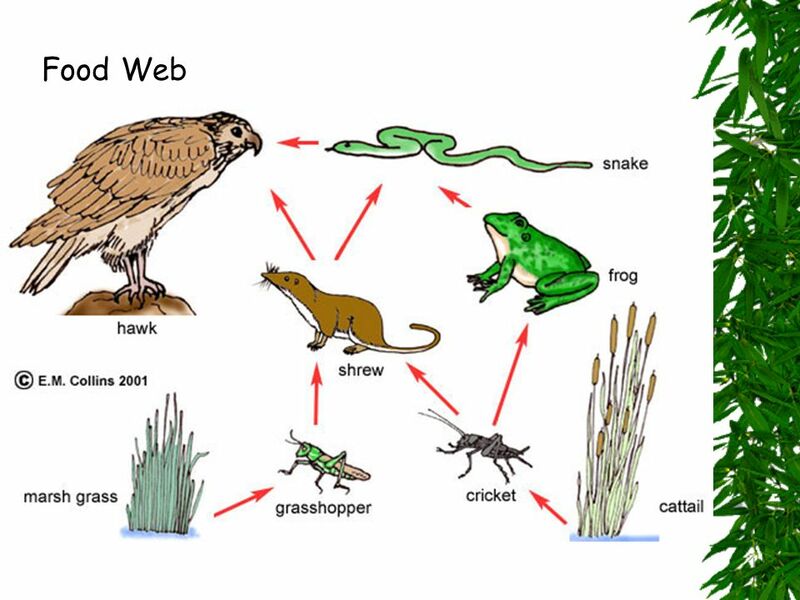 Includes where in the food chain it is, where an organism feeds Habitat is like an address in an ecosystem and a niche is like an occupation in an ecosystem. 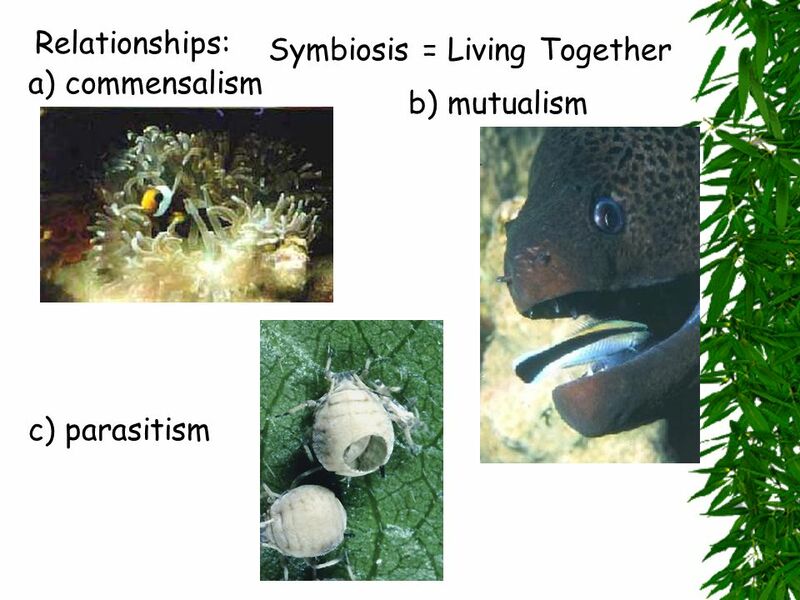 19 Symbiosis Mutualism- both species benefit from a relationship. 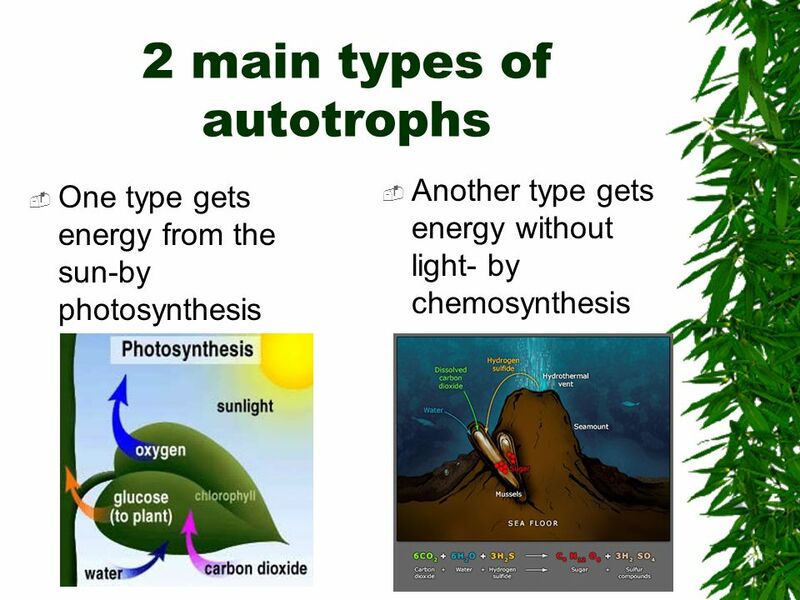 Lichens (fungus and Algae) One example is the lichens, little non-descript patches of stuff you see growing on rocks and tree bark. 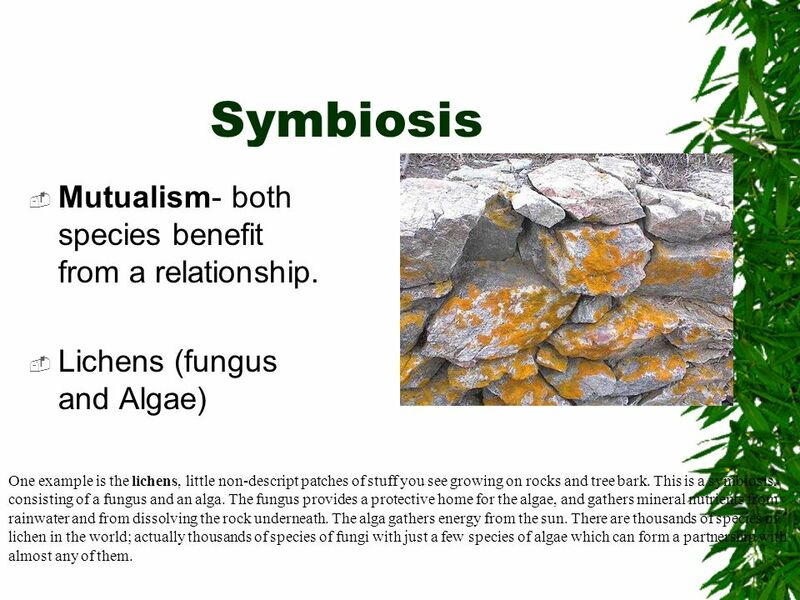 This is a symbiosis, consisting of a fungus and an alga. 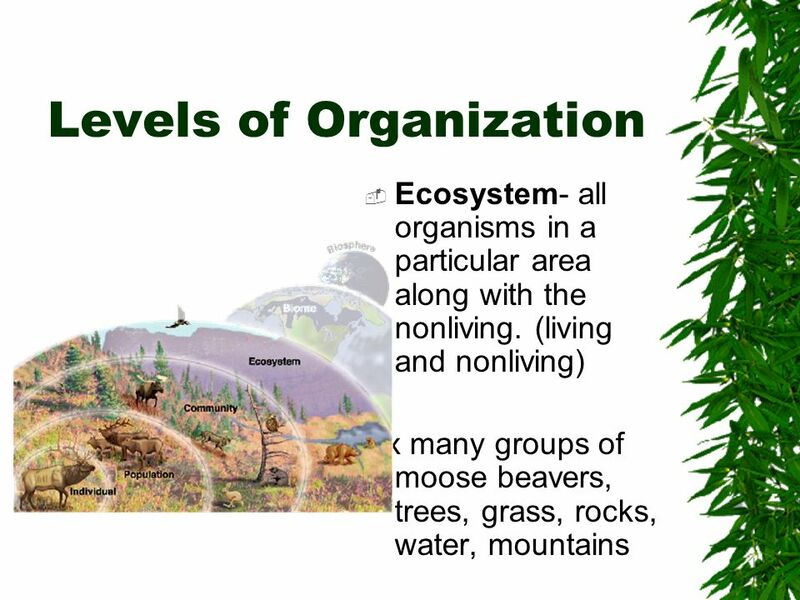 The fungus provides a protective home for the algae, and gathers mineral nutrients from rainwater and from dissolving the rock underneath. 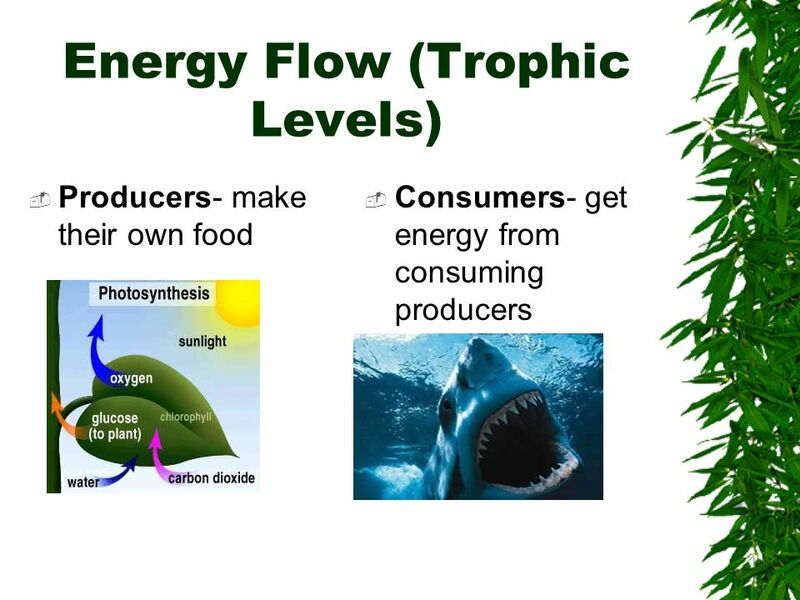 The alga gathers energy from the sun. 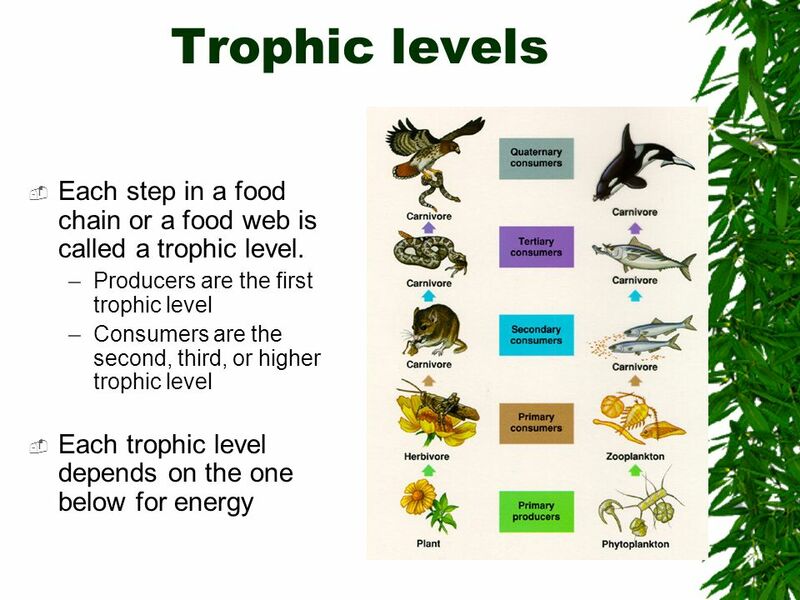 There are thousands of species of lichen in the world; actually thousands of species of fungi with just a few species of algae which can form a partnership with almost any of them. 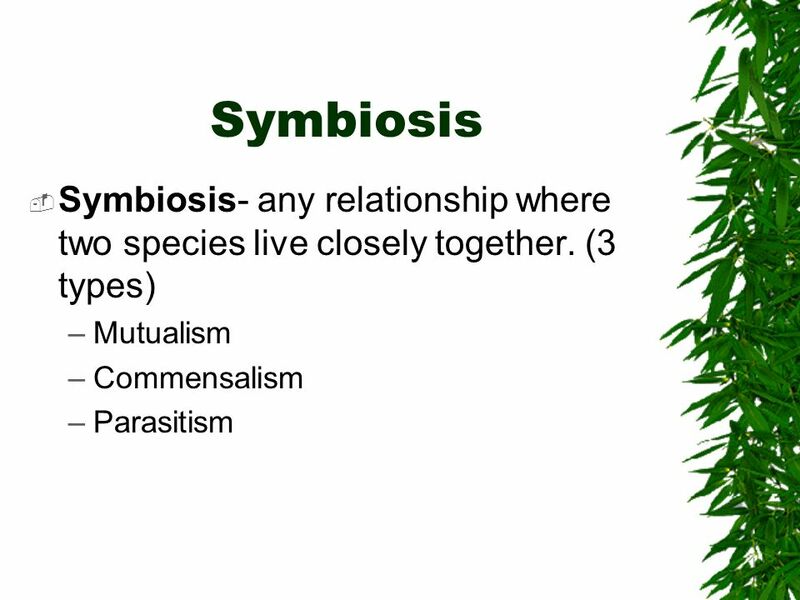 20 Symbiosis Commensalism – One member of a symbiotic relationship benefits and the other is neither helped or harmed Ex. 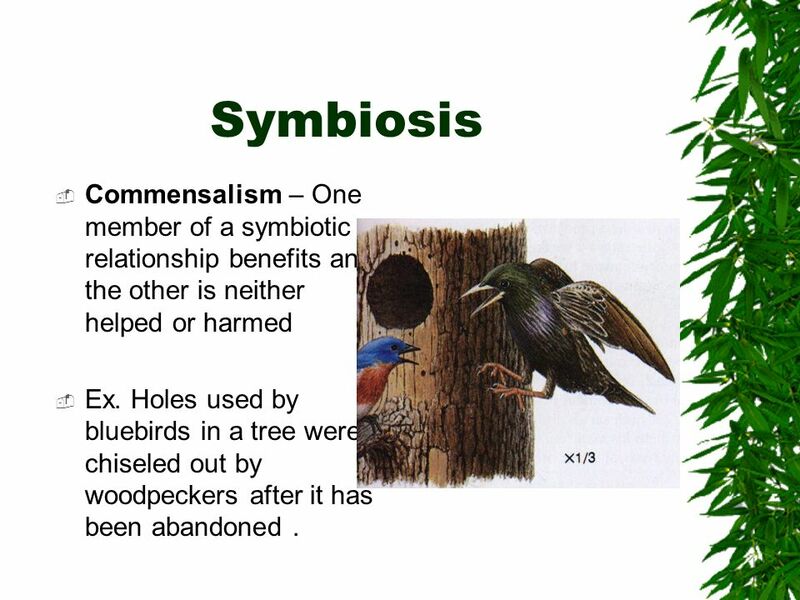 Holes used by bluebirds in a tree were chiseled out by woodpeckers after it has been abandoned . 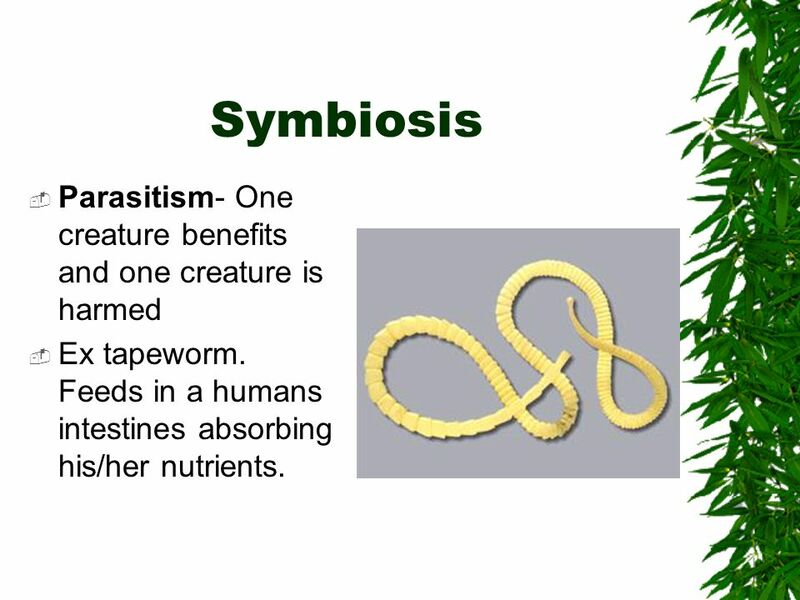 Ex tapeworm. 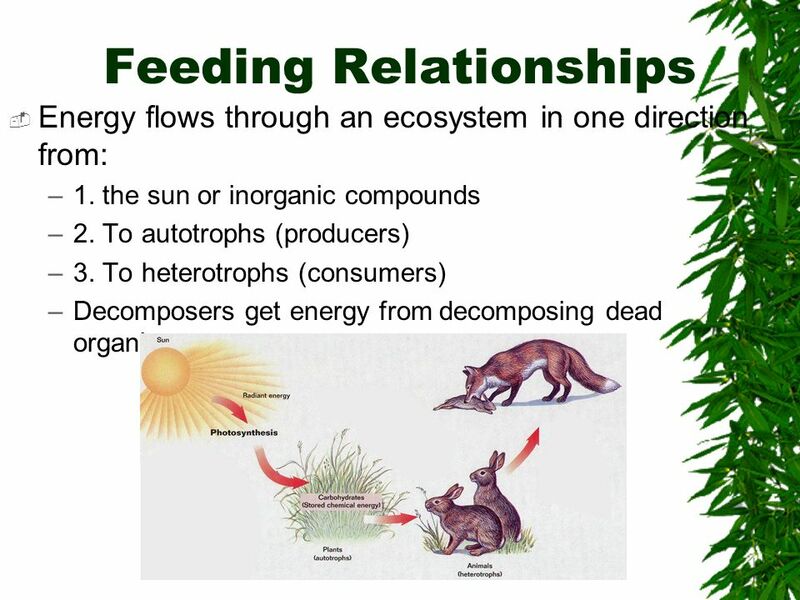 Feeds in a humans intestines absorbing his/her nutrients. 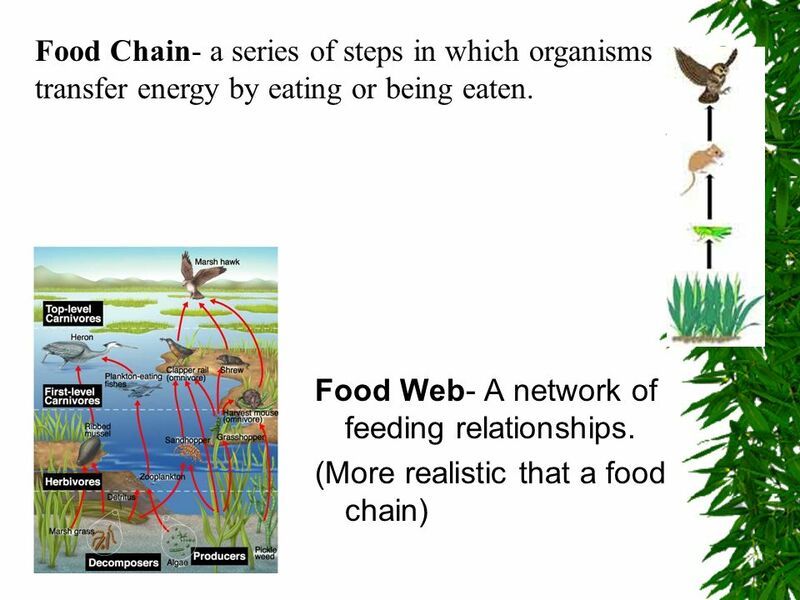 30 Food Chain- a series of steps in which organisms transfer energy by eating or being eaten. 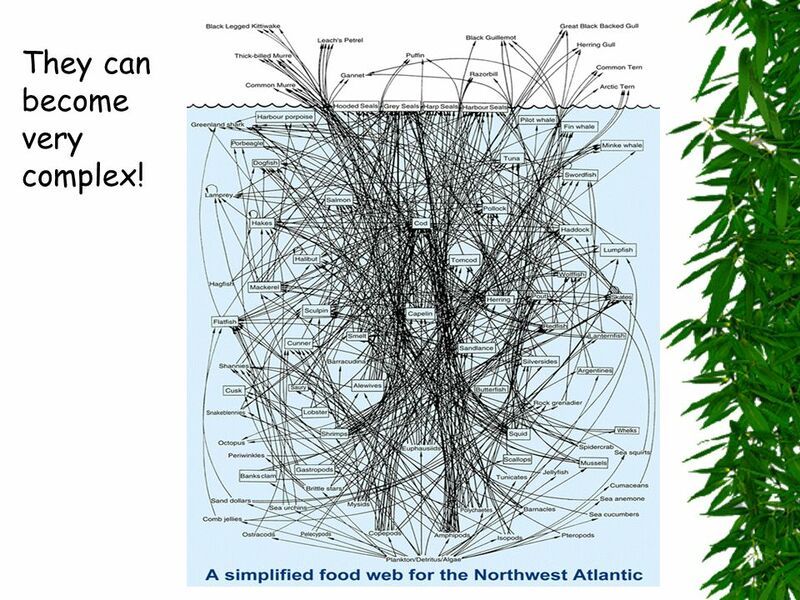 33 They can become very complex! 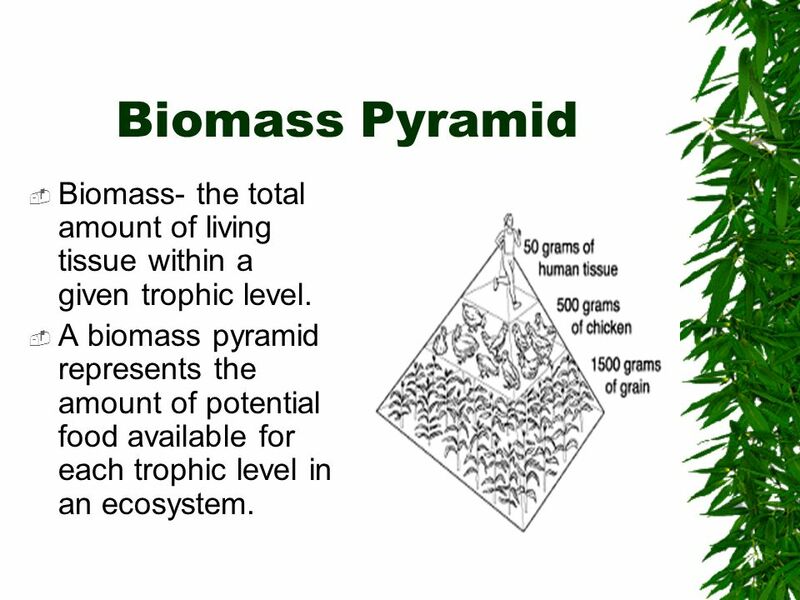 37 Biomass Pyramid Biomass- the total amount of living tissue within a given trophic level. 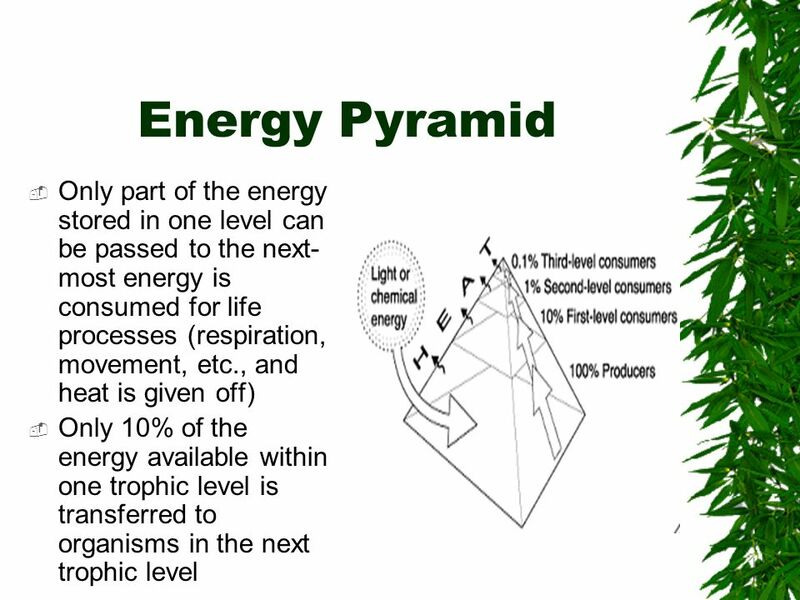 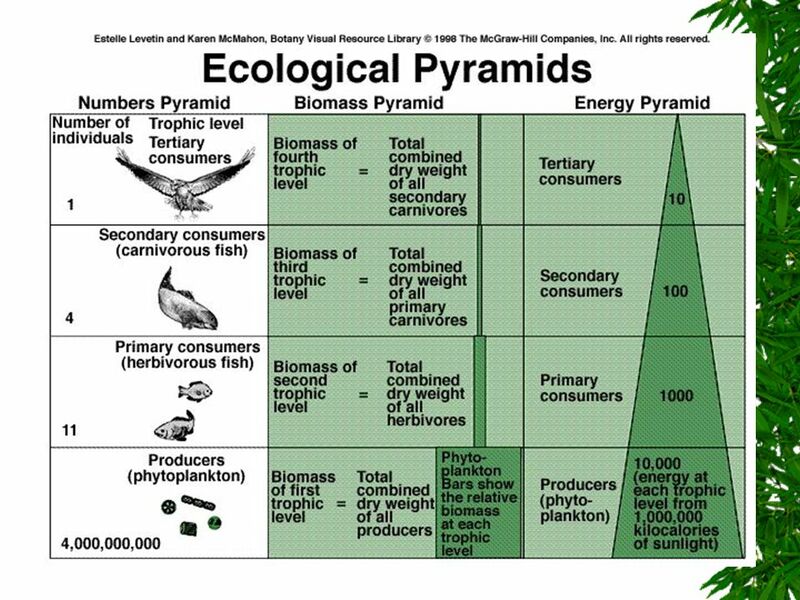 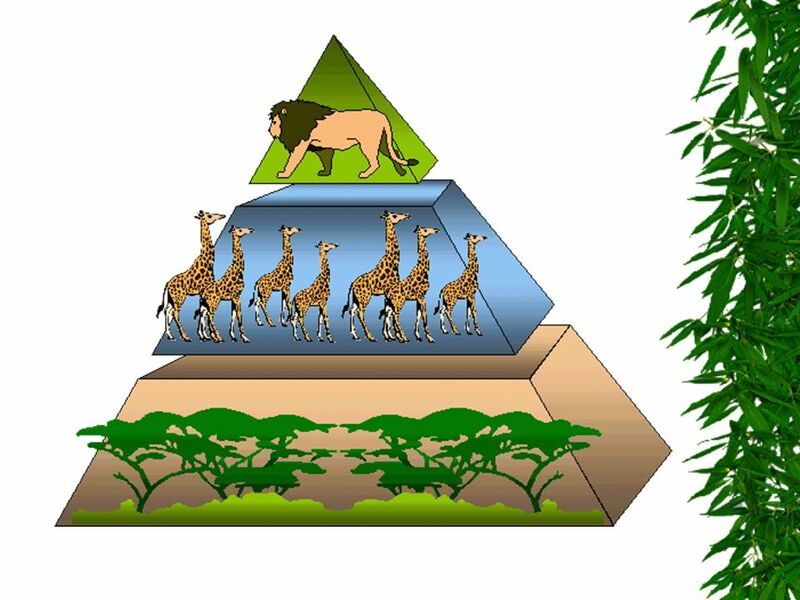 A biomass pyramid represents the amount of potential food available for each trophic level in an ecosystem. 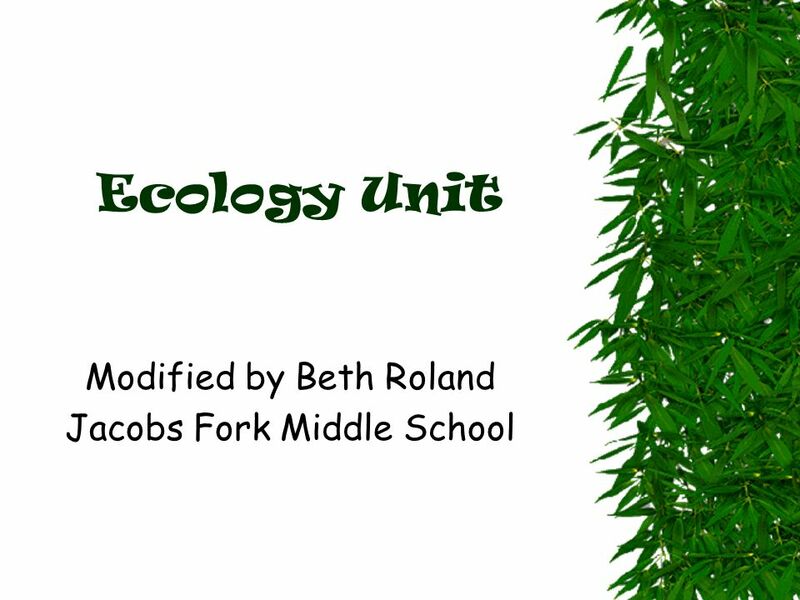 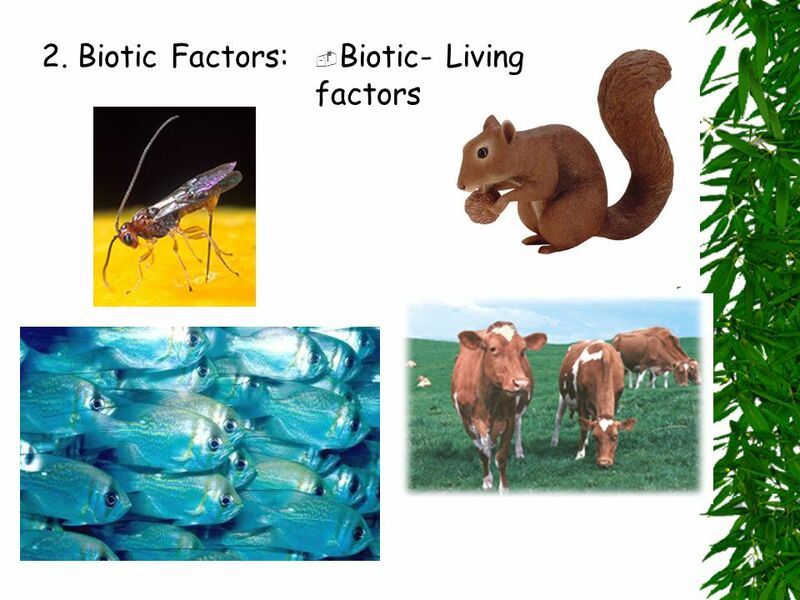 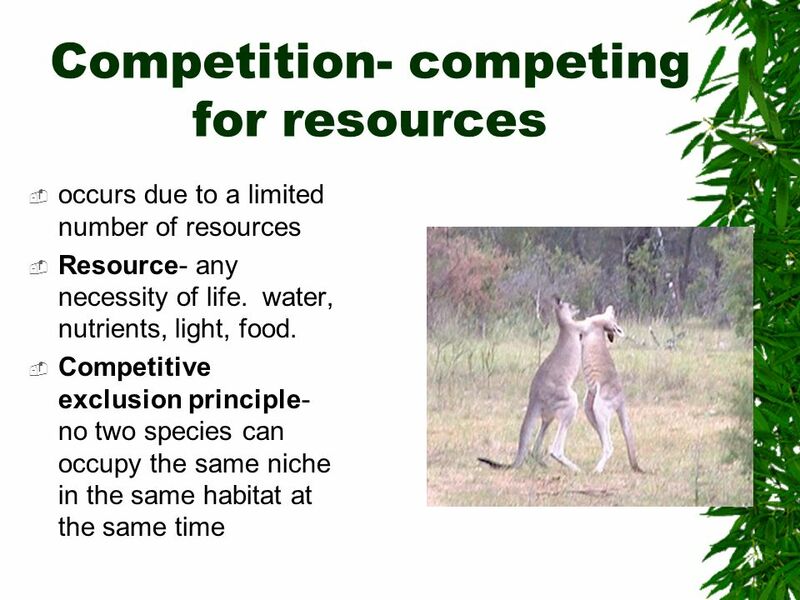 Download ppt "Modified by Beth Roland Jacobs Fork Middle School"
Ecology The study of interactions that take place between organisms and their environment. 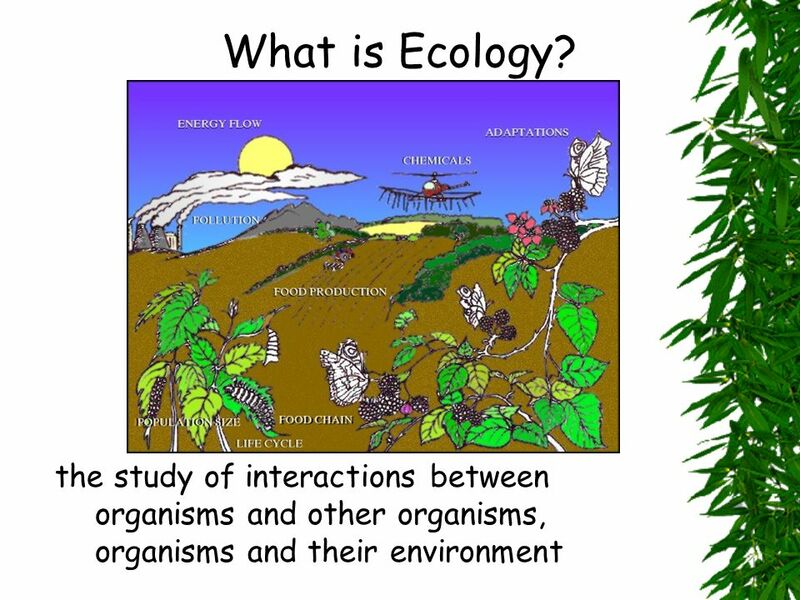 Principles of Ecology You will describe ecology and the work of ecologists. 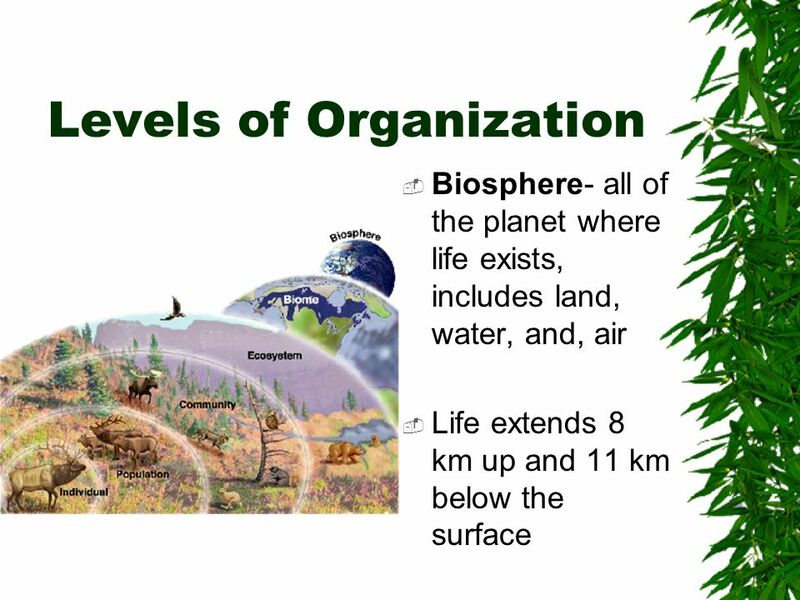 You will identify important aspects of an organism’s environment You will trace. 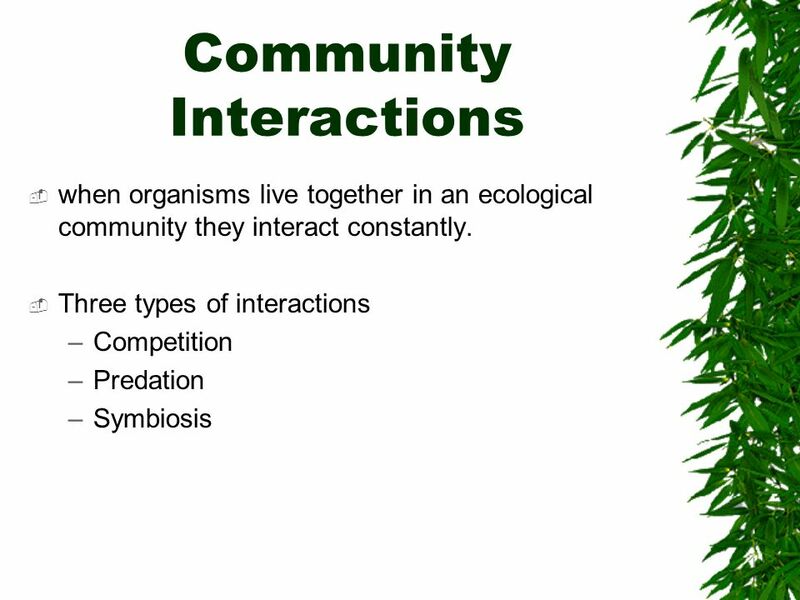 Community Interaction Community Interactions  when organisms live together in an ecological community they interact constantly. 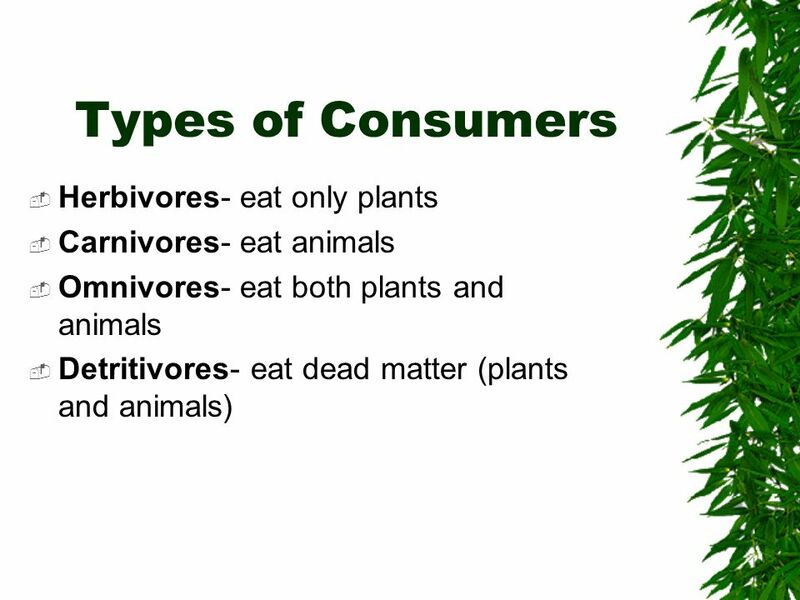  Three types. 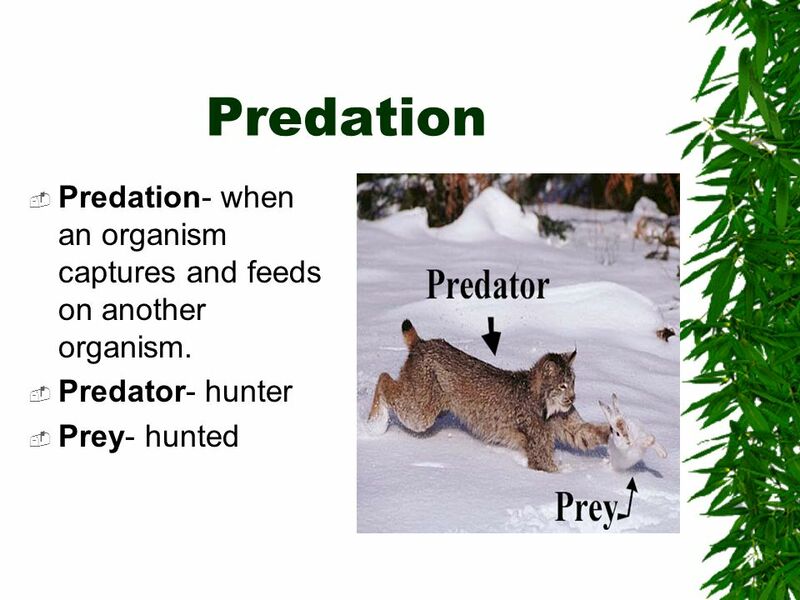 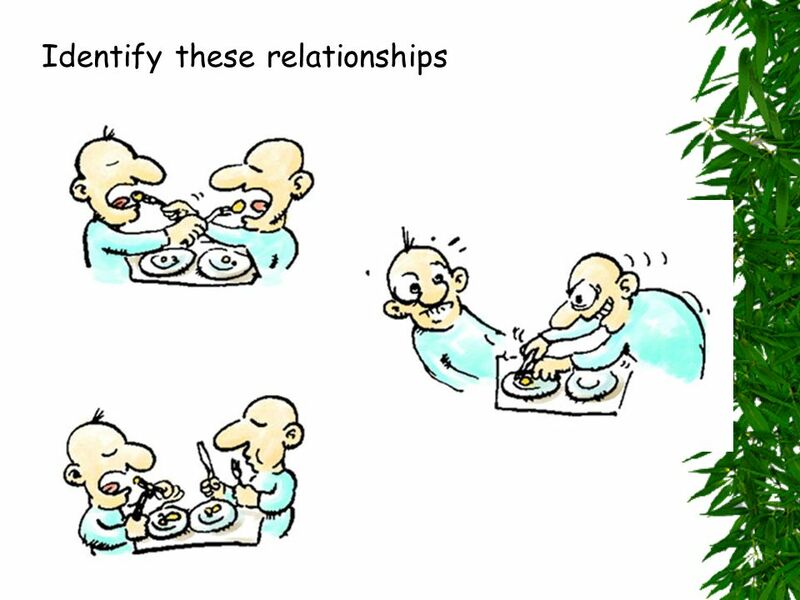 Community Interactions  Three types of interactions –Competition –Predation –Symbiosis  Mutalism  Parasitism  Commensalism. 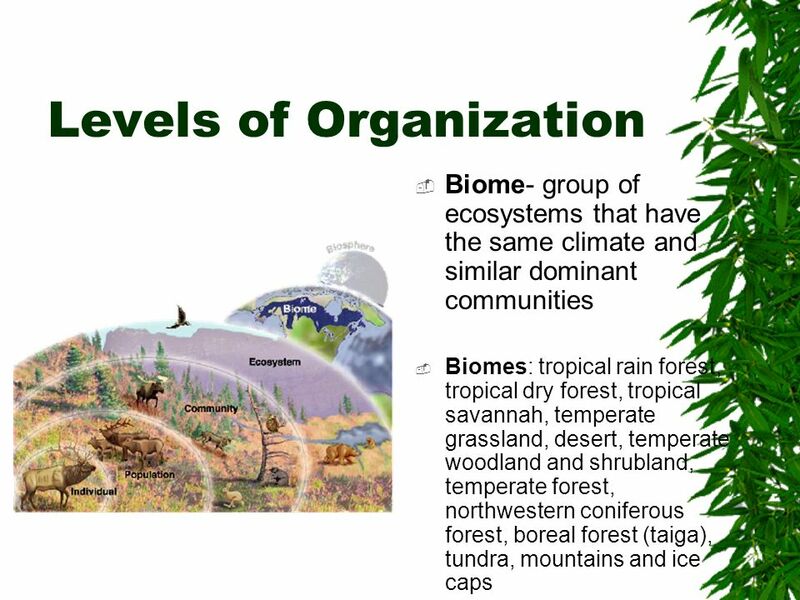 I. Ecology Connections in Nature. 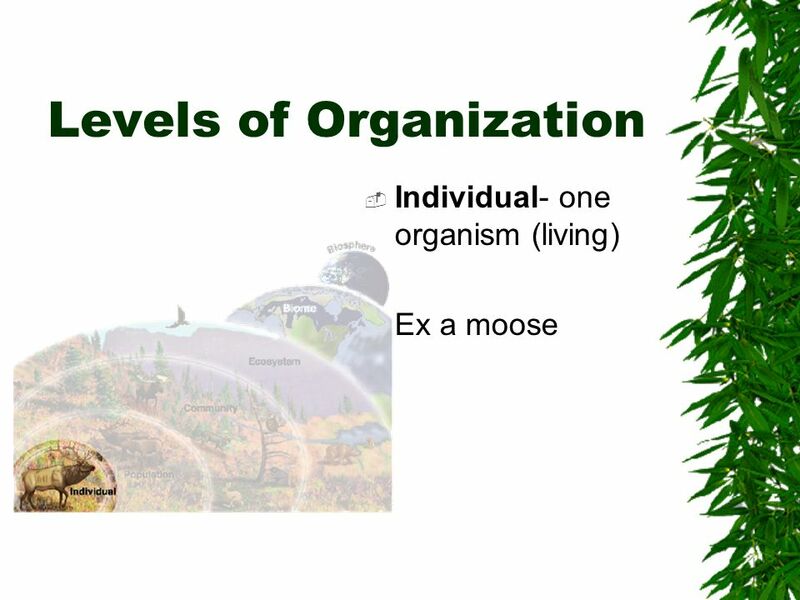 The interaction of organisms with the environment. 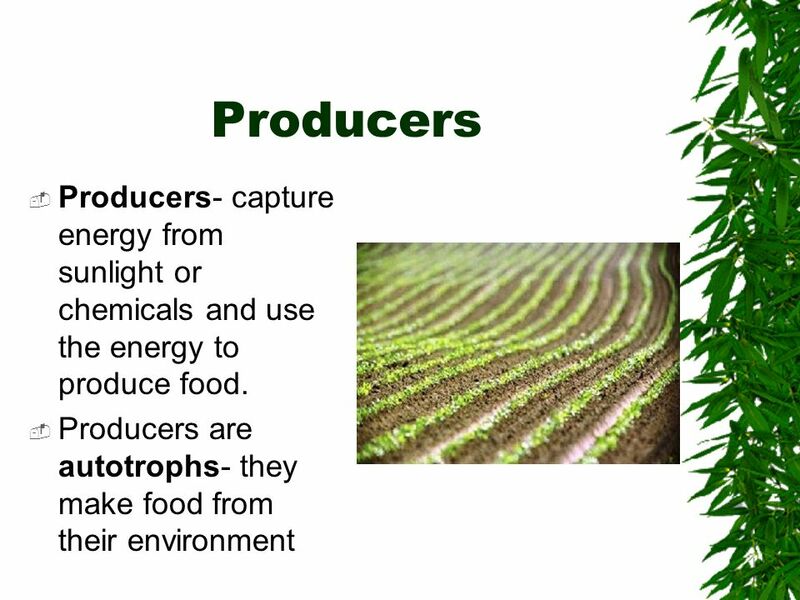 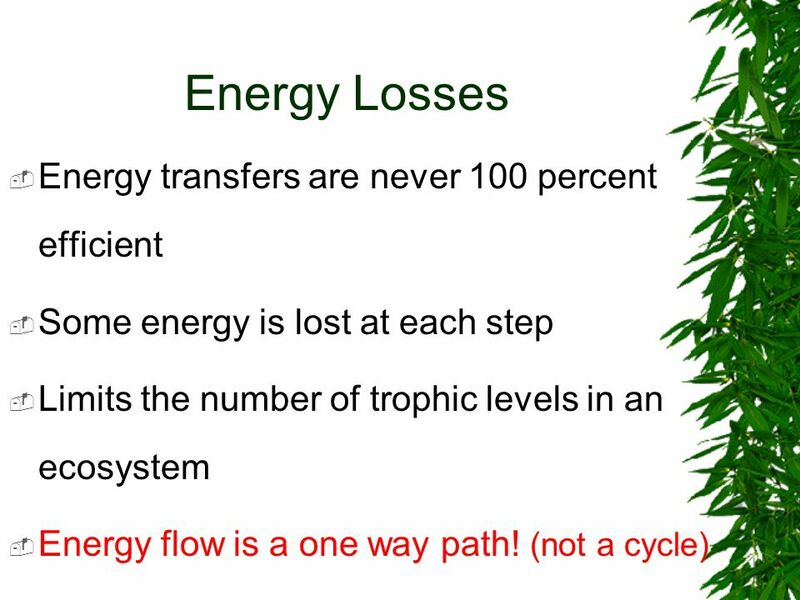 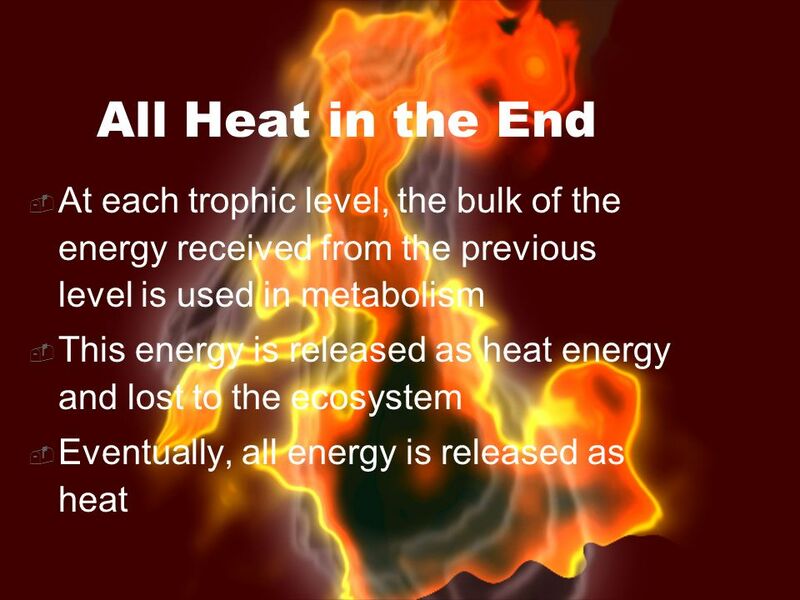 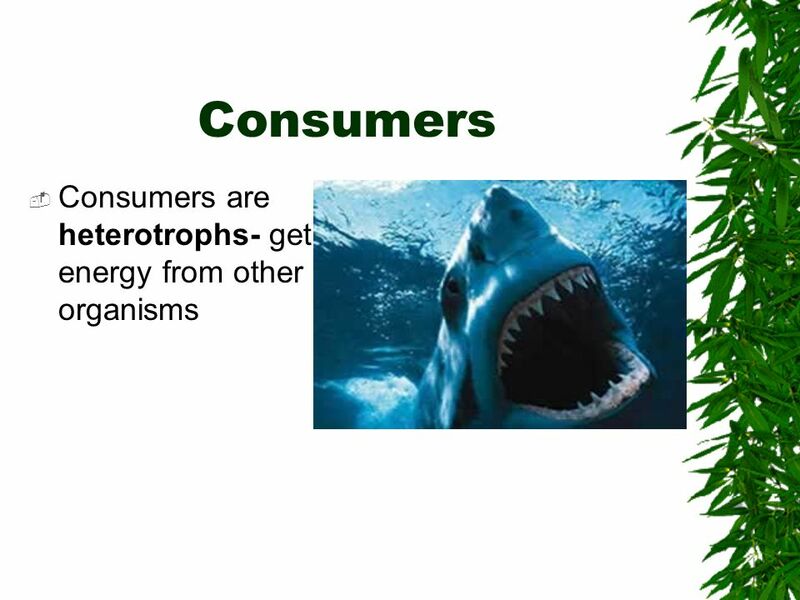 Movement of Energy Through an Ecosystem: Producers and Consumers PRODUCERS (autotrophs) –plants, bacteria and algae are the first to capture the energy. 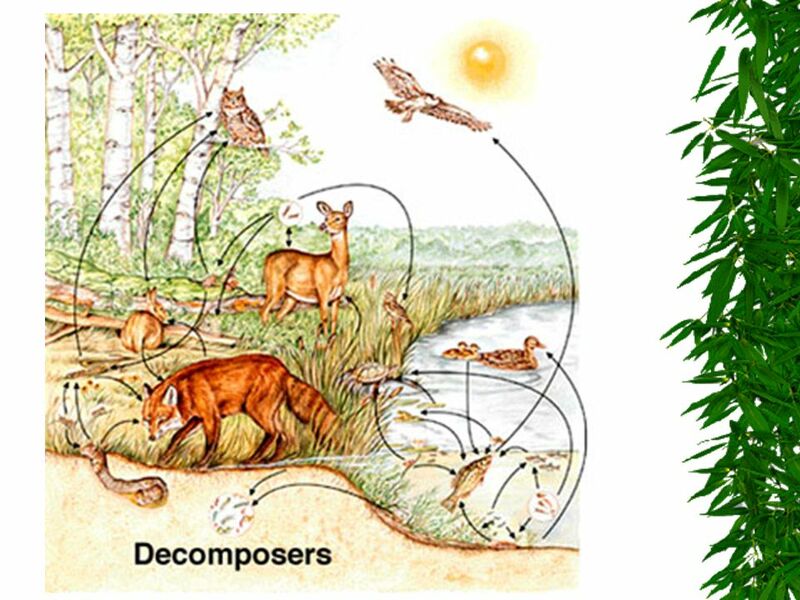 The scientific study of interactions among organisms and their environments.